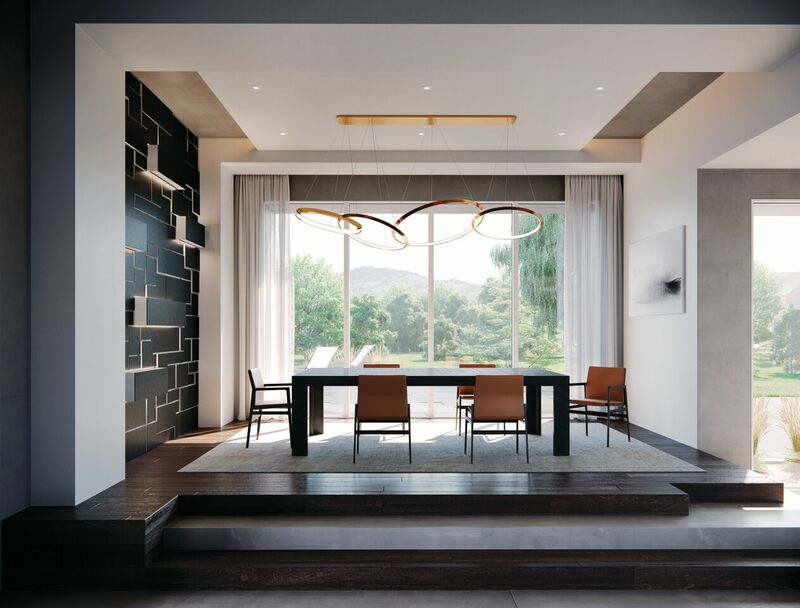 A system of windows, doors, and options that enable builders and architects to achieve their vision with pure modern design aesthetics and category-leading performance. 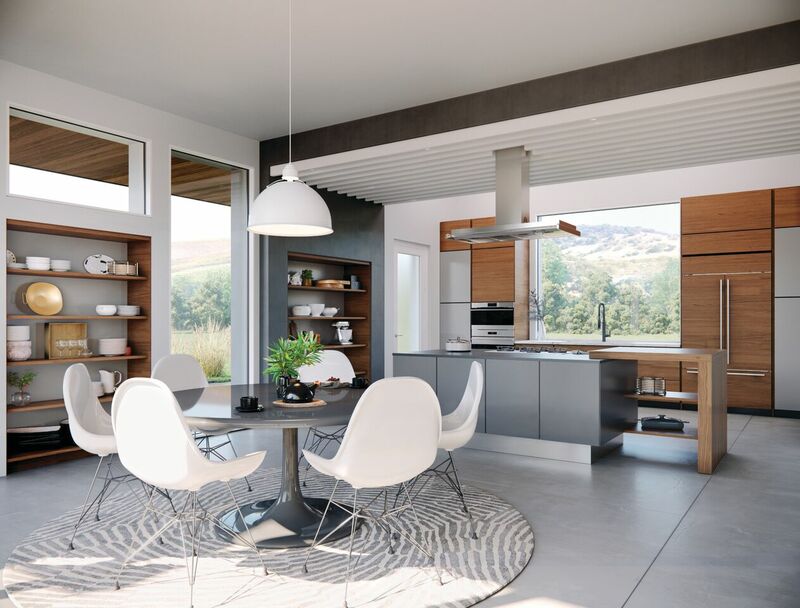 Marvin MODERN features category leading thermal and structural performance. The unique construction of the proprietary high-density fiberglass frame offers superior strength without compromising thermal performance. In windows, the U Factor measures how well a window insulates by measuring the rate of heat transfer. The U Factor in Marvin MODERN’s standard product exceeds that of the competition’s standard offerings. 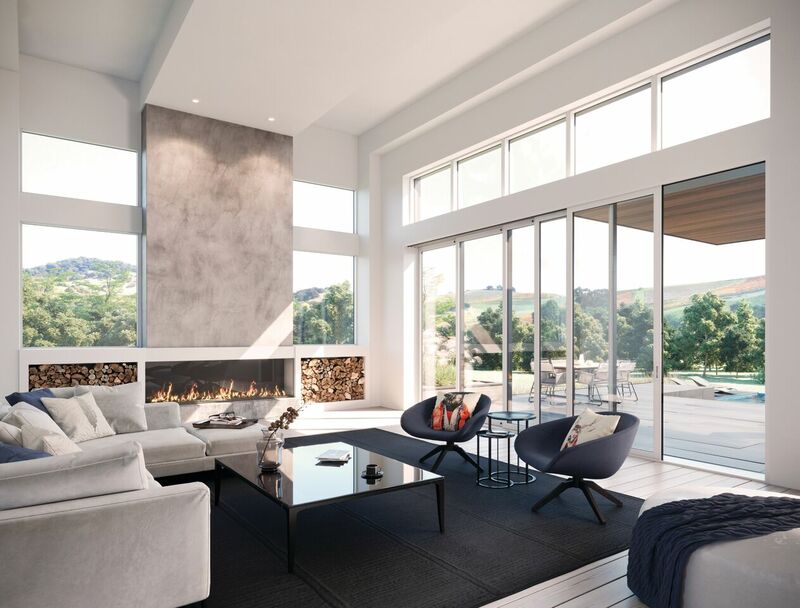 Marvin MODERN provides greater consistency in sightlines than contemporary windows from other manufacturers. With minimal visual distractions, the flow of natural light is enhanced. 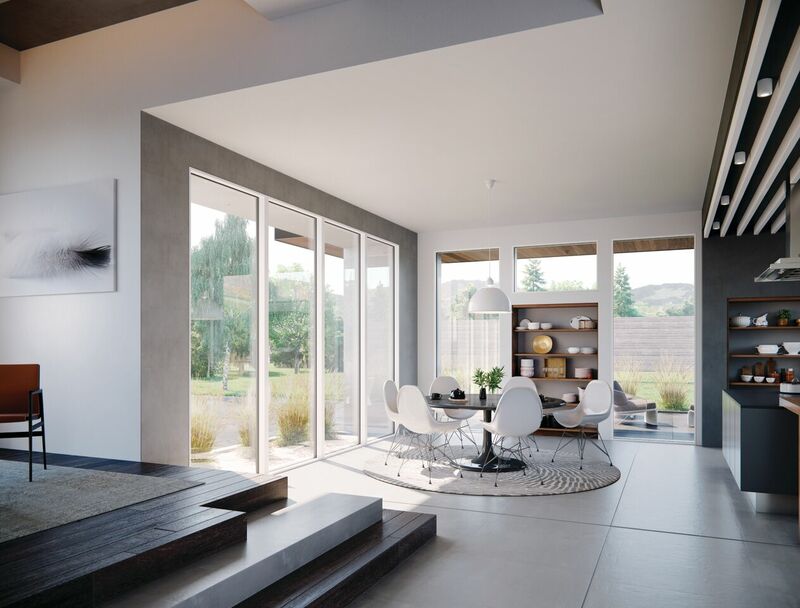 The innovative MODERN window and door system allows components to easily and consistently be mulled together to maintain narrow sightlines. Combined with dual and tri-pane insulated glass, you get rigid, durable, large glass and beautiful views. Available in ebony, bronze, gunmetal, stone white and silver/clear finishes. This door is made from a single piece of Marvin’s high-density fiberglass to maintain thermal efficiency. This solid structure is unlikely to twist or warp as you want bigger and better windows. Other manufacturers have thermally broken structures that cannot compete with MODERN’s single-body construction. The multi-slide door is offered in uni-directional or bi-parting configurations. Achieve maximum views with large expanses of glass with MODERN Direct Glaze windows available in various sizes in rectangular or polygon shapes.